usually internet. It uses “virtual” connections routed through the Internet from the company’s private network to the remote site or employee instead of physical connections. In short , it is private network constructed within a public network infrastructure, such as the global Internet. It is a free VPN client/server SSL VPN solution based on OpenVPN. It encrypts and anonymizes your network connection making your connection safe and secure. You need to download and install the client and create a (username, password) to use this service. It’s a great free VPN service from the well known guys who are behind the Logmein Service of remote apps management. It’s free for non-commercial and personal use. Its a japanese free VPN solution with technology developed by SoftEther Corporation.You can use PacketiX.NET online test service for free.Here’s what you can do with this service. Open VPN drives UltraVPN, OpenVPN is a SSL/TLS based VPN, it provides high security and privacy. The biggest difference between PPTP VPN and OpenVPN is you need install OpenVPN client software to use OpenVPN service, and OpenVPN DO NOT work on mobile devices such as Iphone, Ipad Windows Mobile and Android. But OpenVPN works on Windows, Mac and Linux. Just like other services MacroVPN offer free VPN service for the user's, it provides 128bit PPTP encrypted VPN Connection Service, protection on wifi hotspot. Normally assigned US based IP's. 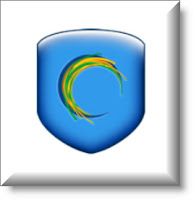 Hotspot Shield protects your identity by ensuring that all web transactions (shopping, filling out forms, downloads) are secured through HTTPS.Here also, you need to download and install a client to use it on your computer. 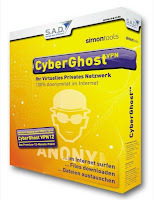 This a free VPN service from Germany which helps you route you through a German IP. The free service is limited to 10GB traffic every month, which is more than enough for surfing on websites, chatting and email. This is another free VPN service product of the World’s Gate, Inc which offers Internet solutions for information freedom in China and other regions. what's about cyber ghost ? is it faster ? So I have to continue to check on forums the problems that may occur, such when use macros. I don't understand why reviews don't present all so the "negative" aspects. Hotspot Shield is no. 1 for 100% online privacy and unlimited bandwidth feature. i really need to browse for free. Can any of these softwares help me do that? 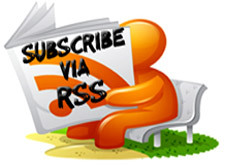 anyone answer me through my email address edusash@gmail.com. and please dont send me spams. thank.